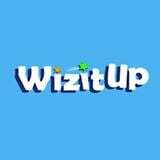 WizitUp.com is Nigeria's premium elearning website, dedicated to providing world-class online education to secondary school students in Nigeria. 55E Adebisi Omotola Close, behind Zenith Bank Headquarters, Ajose Adeogun Street, Victoria Island, Lagos. WizitUp.com is Nigeria's premium elearning website, dedicated to providing world-class online education to secondary school students in Nigeria. With WizitUp you are in control of your learning; you learn at your own pace and sharpen your skills to excel in your chosen subjects. Parents and tutors can also register on the site, pay for their children and also track their performance. Content is tailored to the West African Senior Secondary School Syllabus for Senior Secondary Subjects, and is available as video lessons and smart notes categorized in courses and modules at very affordable prices. NECO exam tutorials are now available in video format on the website www.wizitup.com at a 20% discount. Tell your friends to take advantage of this amazing offer and pass their exams in flying colours. Watch videos of teachers solving past questions on different SSCE subjects like Physics, Economics, Maths and Chemistry and learn how to answer questions correctly with exam tips and strategies.